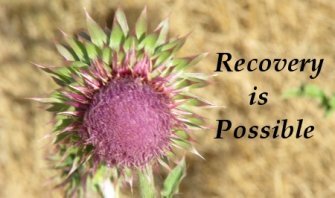 Which drug addiction rehabilitation center? How can you find the best drug addiction rehabilitation center? Look for these 10 things to get the help you need to end your addiction and to begin to live a joyous life again. The first thing to understand about a successful addiction treatment is that often it's main goal is to help the addict to avoid relapse. Drug addiction is an incurable disease of the brain, which is often characterized by relapse. The longer the addict avoids using, the more successful they will likely be in their recovery. ** Active support for 12 step groups --- The center requires daily participation in a 12-step group. The 12-steps have helped many people to move into recovery and also set up a method a support after the addict leaves treatment. ** Diagnosis and treatment for co-occurring disorders --- Behavioral health specialists on staff who review each case for co-occurring mental health issues that may disrupt addicts ability to quit. Depression and anxiety are the most common co-occurring disorders that must be properly treated in order for the addict to move into recovery. ** Addiction counseling support --- Cognitive Behavioral Therapy or Motivational Interviewing are the most common types of addiction individual counseling available for addiction recovery. Look for a drug addiction rehabilitation center that offers these treatments. ** Age appropriate --- If the addict is a teen, find a drug addiction rehabilitation center for teens. If he/she is a young adult then find a center for young adults. If they're a senior, then don't put them with non-seniors. Addicts generally respond much better when surrounded by people of their own age and generation, who are also struggling with addiction. ** Gender Specific --- A drug addiction rehabilitation center which is gender specific can also be very helpful for recovery. It eliminates many relationship issues and allows the addict to focus on their recovery without the distraction of any potential romantic encounters. ** Collaborative and family supportive --- A center that works with the family and integrates them into treatment when appropriate. ** Inpatient programs from 30 – 90 days --- Length of treatment is a very critical component of addiction recovery. If the treatment program and support aren't long enough relapse usually occurs. That's why inpatient programs are better than outpatient in many cases, because they help the addict to gain the skill necessary to avoid using. ** Medically supervised and supported withdrawal supportive --- Doctors on staff or available to review the medical status and needs of the addict and prescribe withdrawal and relapse supportive medications. As an example, Suboxone can be very helpful to support opiate withdrawal and addiction recovery. ** Strong, well-trained staff --- Make sure to review the credentials of the staff that works with the patients. The better trained the staff the more likely they will be beneficial through the withdrawal and early recovery process. The staff staff are the people who should connect with the addict and create an environment for strong therapeutic connection. ** Support spiritual connection and transformation --- Many people believe that to truly recover from addiction the addict needs to have a spiritual re-connection. This is what the first three steps of the 12-steps try to facilitate. It's important that the treatment center not be hostile to this transformation and be as supportive as possible to facilitate it.